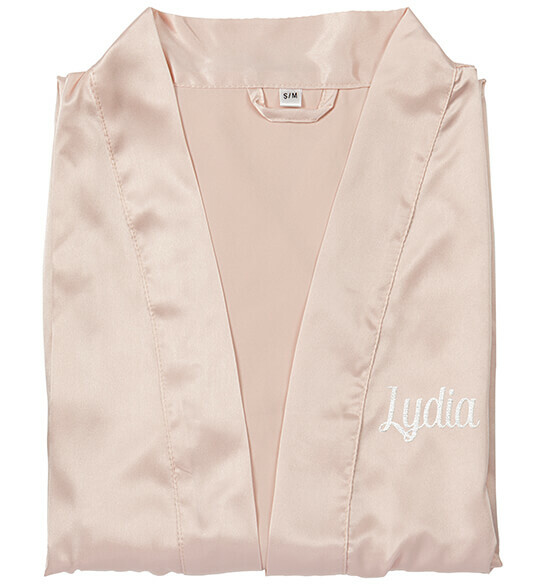 This Personalized Luxury Satin Robe with Tie Strap is the epitome of chic elegance. 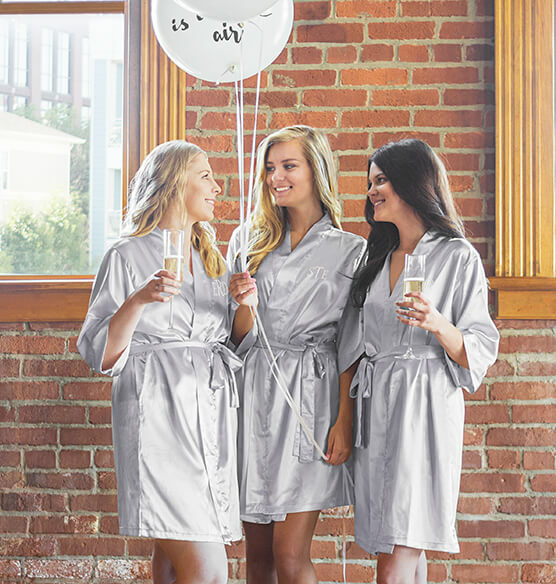 Made of polyester spandex, this luxurious personalized robe is perfect for lounging or casual pajama parties. Adjust the tie strap for a figure-flattering fit. S/M (34 1/2" L), L/XL (36 1/2"L).